Zinc is a trace mineral, a deficiency of which causes serious malfunction of the body. Zinc is present in many foods, but heat treatment is almost completely destroyed. In the pharmaceutical industry are many products containing zinc. The microcell is available in capsules, tablets, in the composition of vitamin-mineral complexes, and also in ointments for treating skin diseases and in suppositories for the treatment of hemorrhoids and formed cracks. Supplementation based or zinc as shown in disorders of the immune system, for colds and viral infections, impotence and prostate adenoma, chronic prostatitis. And to strengthen metabolism, cell renewal, healing of wounds, ulcers, fractures, cuts, to improve memory and thought process, especially in the elderly, for the normalization of the sexual organs. Particularly indicated for the supplementation of zinc during the first trimester of pregnancy, when there is intensive formation of the fetus and vital organs. 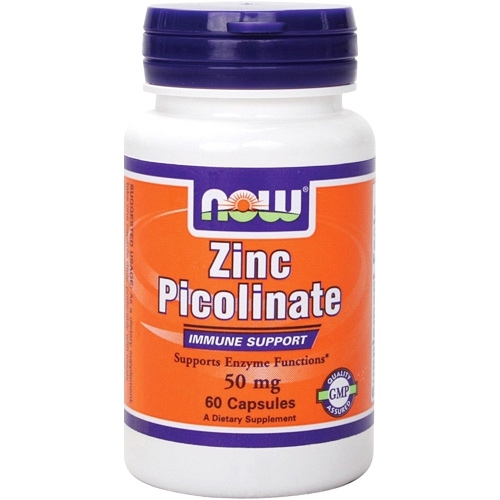 For the normal functioning of the body of an adult needs 10-20 mg of zinc daily. This amount of trace element is very difficult to obtain from foods, especially for the assimilation of zinc is required to make vitamin a, calcium and phosphorus. This composition complement each other and amplified the effects of each substance, so the pharmaceutical industry produces drugs zinc in this composition. For capsules with zinc, read the abstract, because the dose can be quite different. Focus on a daily dose for an adult is 10-20 mg. If the trace element is used for medicinal purposes, it should take 20 mg as a preventive – 10 mg. Like all minerals, is best absorbed zinc when taken immediately after or during a meal. In the composition of vitamin-mineral complexes for the treatment of various diseases and conditions associated with a lack of vitamins or minerals, and after severe diseases and after the use of antibiotics, take 1 tablet or 1 capsule of the drug 2 times a day after meals. For supplementation with zinc pregnant women and children must obtain a doctor's recommendation. Because the dose can be assigned to different, and taking any drugs for pregnant women and children are unacceptable without prescription of the specialist. When taking zinc supplements should completely refrain from alcohol, birth control pills, hormonal medications and limit the use of salty or sugary foods, coffee and tea.